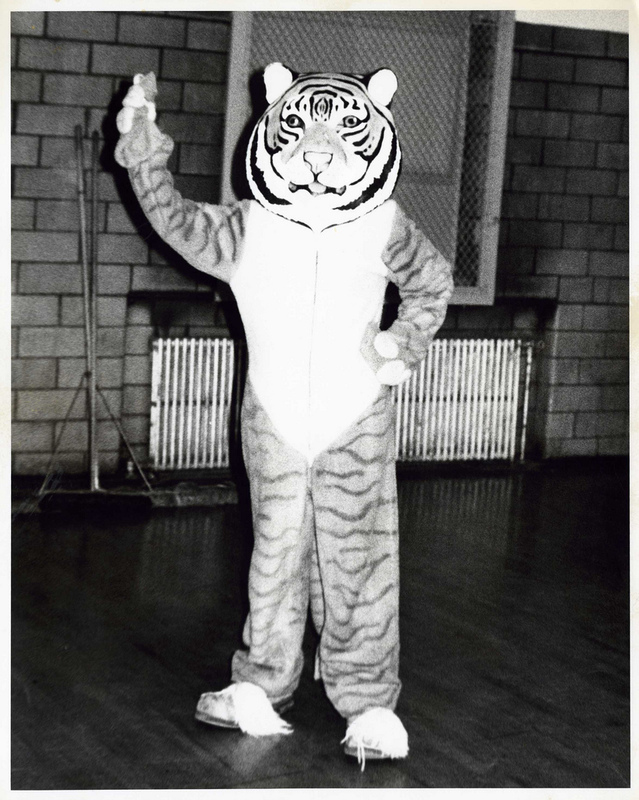 This picture shows the early mascot for Cincinnati Technical College, which was a Tiger. At that time, the team colors were blue and gold. 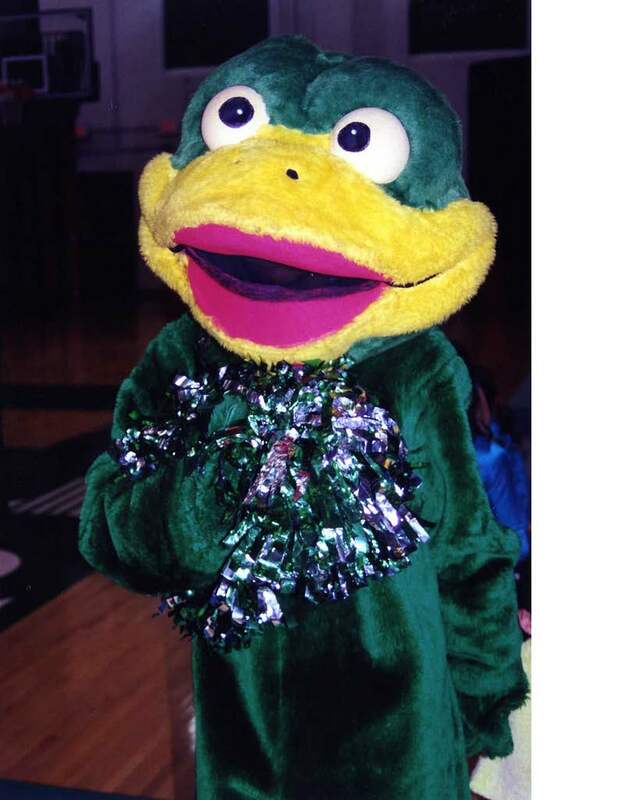 When the college changed to Cincinnati State Technical & Community College, a new mascot, the Surge, was selected. Team colors were also changed to green and white. This picture shows one variation of the Surge mascot. 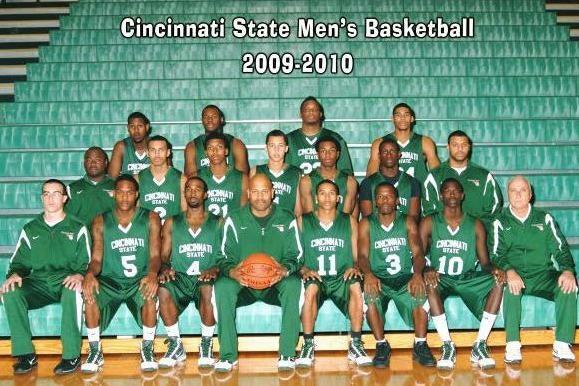 Cincinnati State’s longest-running athletic program has been men’s basketball. The team began in 1970 as members of the Junior College League, winning 2 tournaments and accumulating over 125 wins. In 1977, Coach John Hurley took over as head coach and the College’s teams began competing on a Regional level. 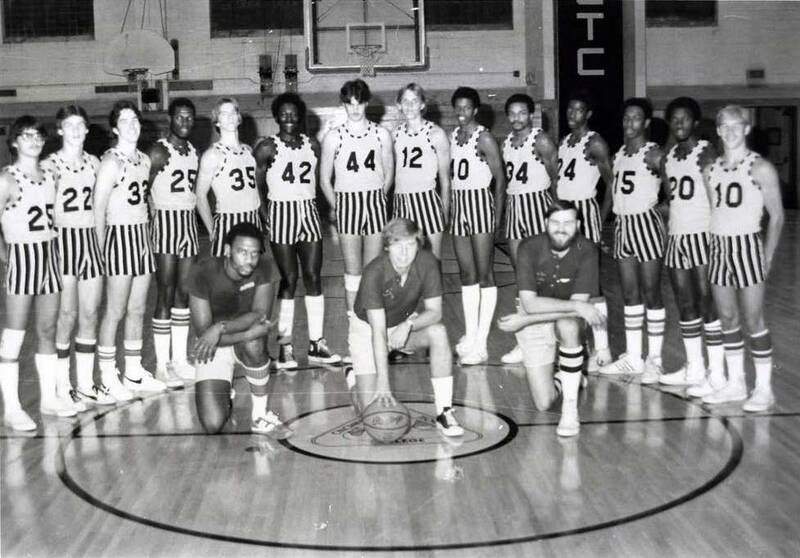 This photo shows the men’s basketball team circa 1977. John Hurley was the former athletic director of the College and the men’s basketball head coach from 1977–2003. 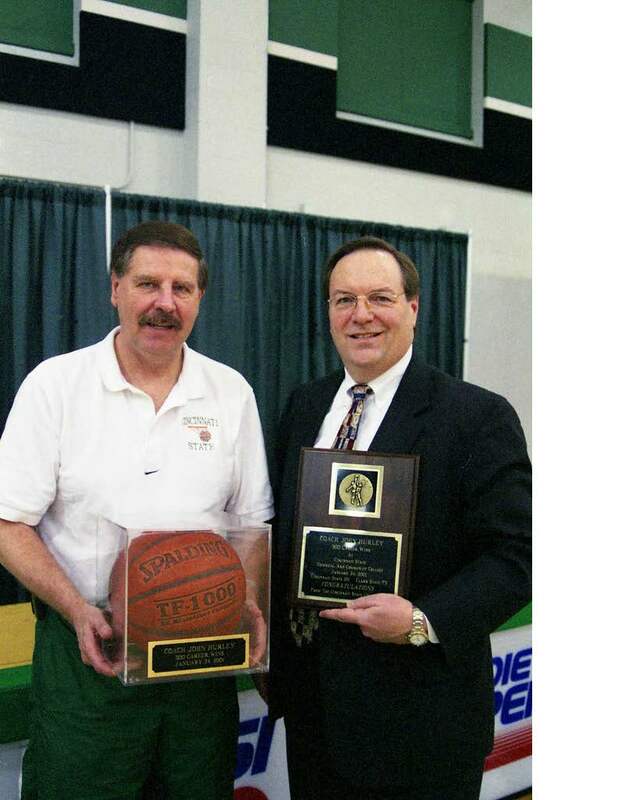 During his 26 seasons coaching, his team won 13 championships and he won multiple “Coach of the Year” honors from OCCAC and the NJCAA, as well as an induction in the Ohio High School Basketball Coaches Association Hall of Fame. In January 2001, Coach Hurley (left) was awarded for his 500th career win by Bill Russell. Andre Tate, a former UC Bearcat, came to the men’s team in 2003 as the assistant coach, and became head coach in the 2004-05 season. This picture shows the 2009-2010 men’s basketball team with Coach Andre Tate in the front row, holding the basketball. The women’s basketball program was briefly offered by the College in 1983-84, disappeared, and then was re-introduced in 1992. 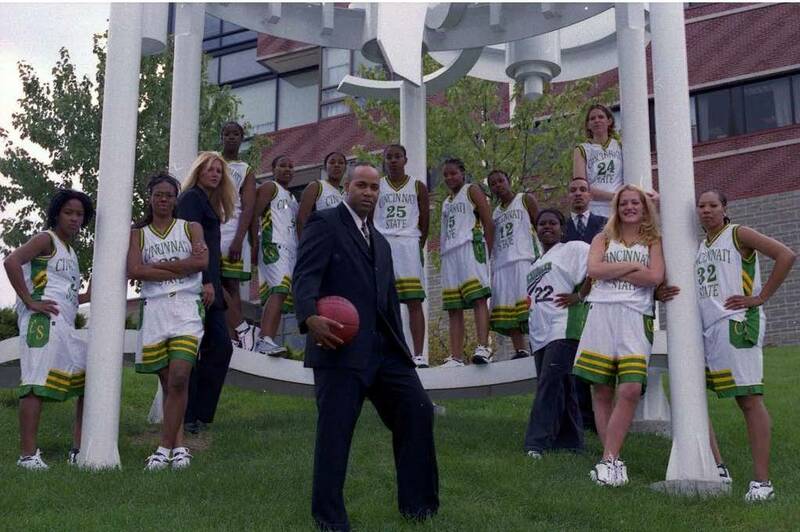 The Lady Surge were coached from 1993–2008 by Gary McDaniel, pictured with this team in October 2000. The team attracted a lot of attention in the 1990’s with trips to Sweet Sixteen and Elite Eight Tournaments. The women’s basketball team is now coached by Theresa Check, the College’s current athletic director. 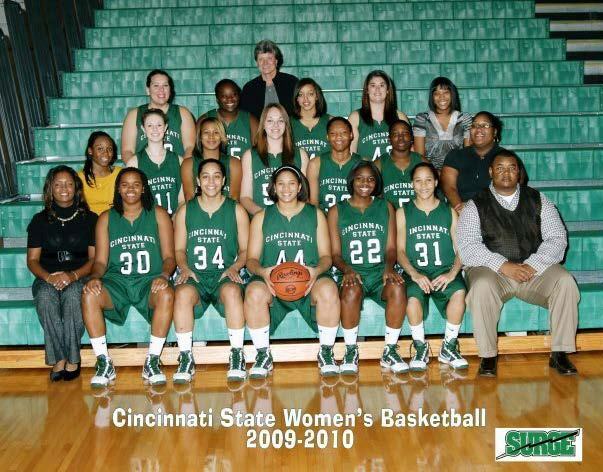 Under Coach Check’s leadership, the Lady Surge finished the 2008-2009 season with a 22-6 record and finished a solid first in the Ohio Community College Athletic Conference (OCCAC). This is a picture of the 2009-2010 team with Coach Theresa Check in the top row. 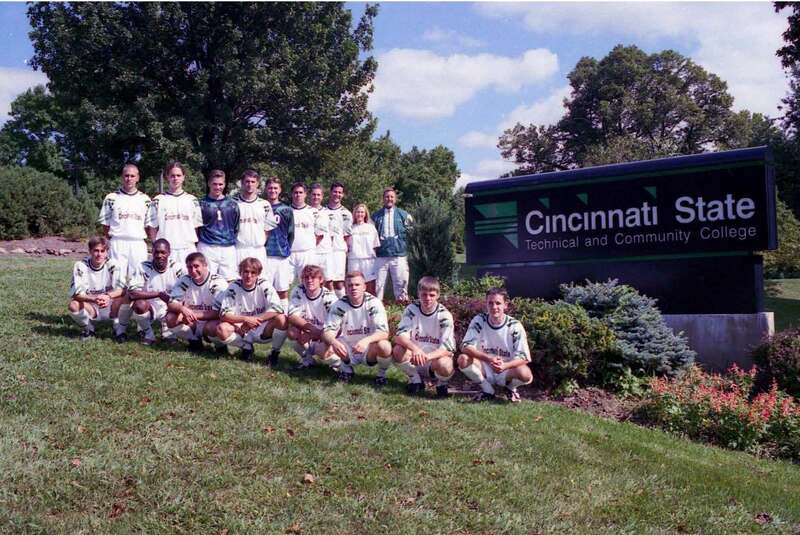 Cincinnati State added men’s soccer to their athletic program in 1996. This picture shows the men’s team in 1997. 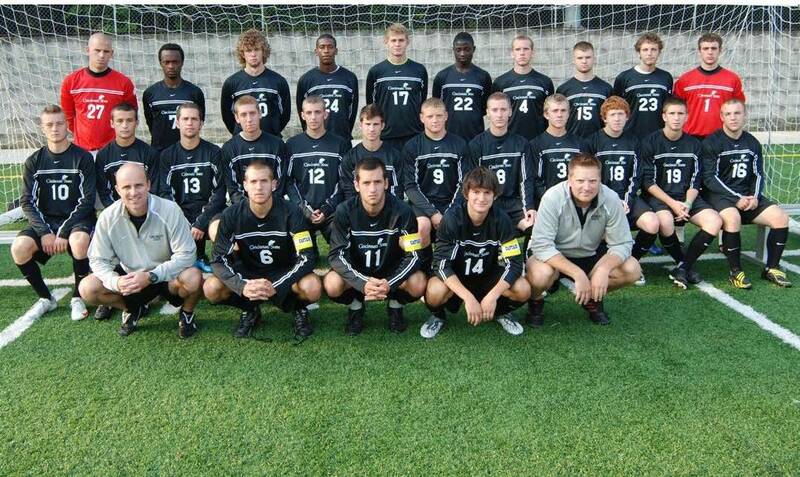 The men’s soccer team won the Ohio Community College Athletic Conference this year (2009) sealing Cincinnati State’s standing in the Top 20 national rankings among junior college soccer programs. Also this year, on September 25th, 2009, Coach Mike Combs celebrated his 100th victory as head coach of the men’s team. This picture shows Coach Mike Combs (front row, far left) with his 2009 team. 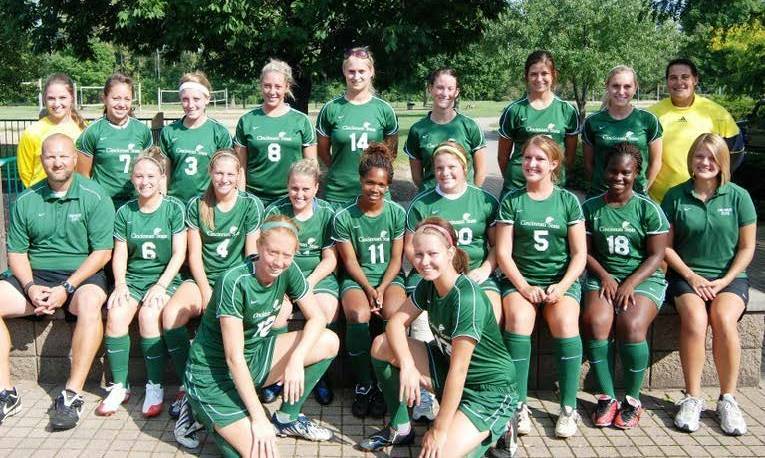 The women’s soccer team started up in 2000 and is coached by Wil Cagle. The soccer teams play home games on several high school fields, and Xavier University’s field. 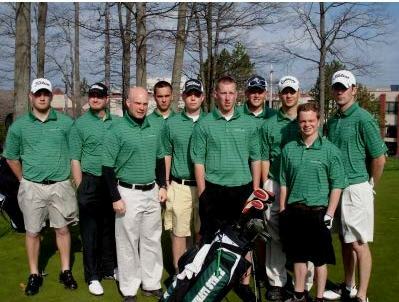 Golf entered Cincinnati State’s athletic program in 1992 as a co-ed sport. The team has been coached by Scott Webb since 1996. Coach Webb is a "Class A" member of the Professional Golf Association, and he lead Cincinnati State’s team to an impressive 2nd place finish in OCCAC league competition in 2008. The golf team plays home matches in Middletown at Weatherwax Course. This picture shows Coach Scott Webb with his 2009 team. 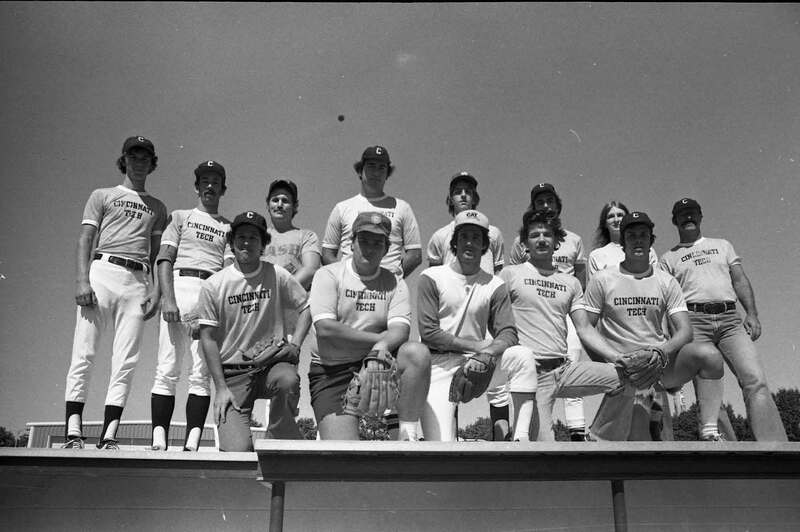 Softball was a large part of the athletic program from 1970-1977. Teams had a great record, having won 4 league championships during those years. When the College became OTCAA members, however, softball was changed to an intramural sport. This undated photo shows a softball team at Cincinnati Technical College. 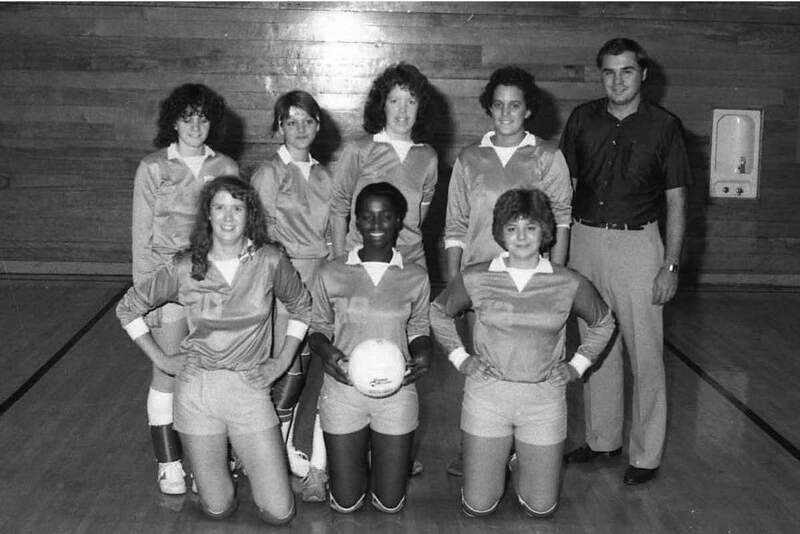 Volleyball was first offered as a women’s team sport from 1981-84. Then in 1984, the College discontinued all of its sports programs except for men’s basketball. This picture shows a volleyball team most likely from the early 1980s, with Coach Rich Hendrix. 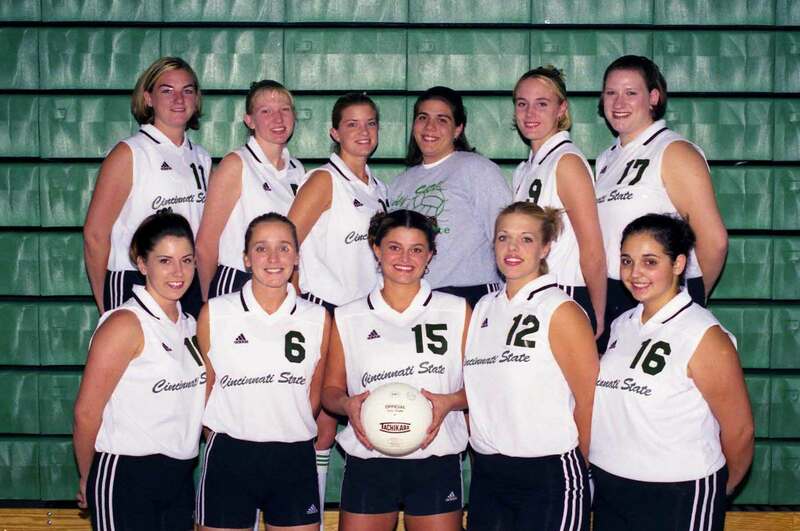 The women’s volleyball team at Cincinnati State was restarted in 1997. This photo shows the volleyball team in 1999. However, in 2002, women’s volleyball ceased as a NJCAA sport and is now offered as an intramural sport only. The College attempted to add baseball to its team sports lineup in 2000. Although they had planned to take the sport intercollegiate, it was discontinued the following year. 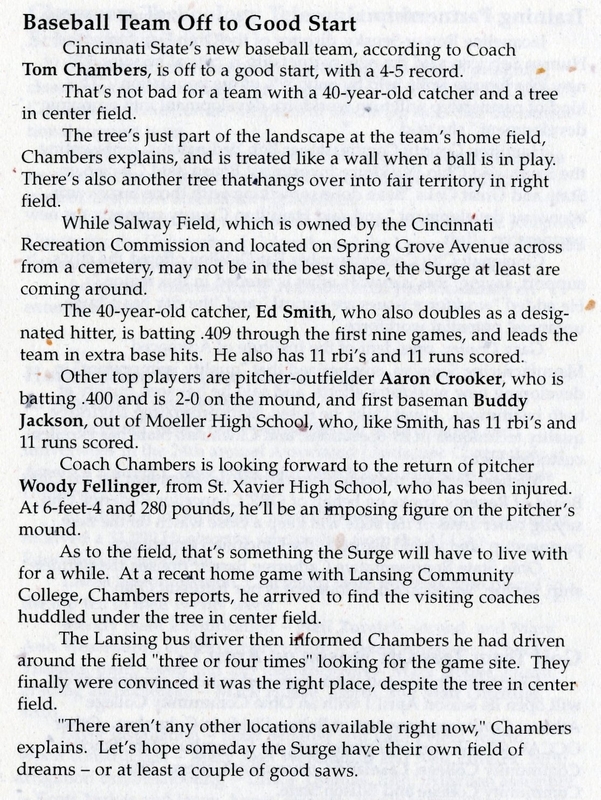 This article about the baseball team appeared in the Cincinnati State employee newsletter, Currents, on March 24, 2000. It describes some of the team’s challenges, including a tree in the center of the team’s home field. In addition to intercollegiate sports, Cincinnati State students also have had the opportunity to participate in various intramural sports throughout the years. These have included chess, checkers, table tennis, billiards, softball, volleyball, and basketball, along with many others. 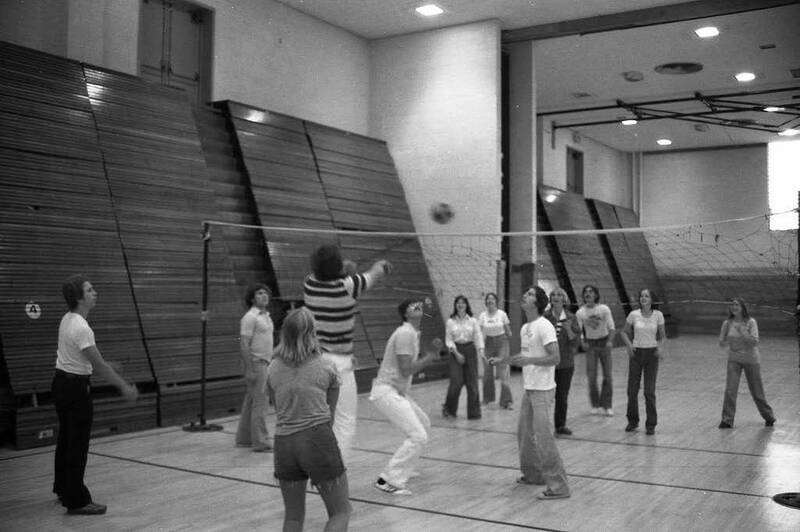 This picture shows students playing intramural volleyball in 1980.